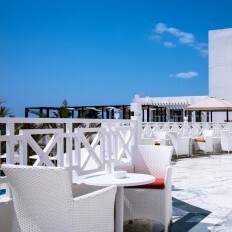 Tunisia is a tiny country - the smallest in North Africa - but still manages to offer plenty. From Mediterranean beaches to the Sahara desert and from ancient souks to Star Wars film sets. This is one of the most liberal nations in the Islamic world; alcohol is freely available and women need not feel intimidated. Tunisia's history stretches back 3000 years, you can visit many Roman sites such as the remains of their villas at Bulla Regia, the Roman temple in Dougga and the amphitheatre of El Jem. Positioned in the subtropical zone of the Mediterranean, Tunisia experiences a mixture of both climates, with Southern regions having two seasons of a long summer and short rainy season, and the North experiencing all four.